Email-Marketing remains one of the most proven and elite ways to enhance business communication – Fact. With billions of emails being sent on a daily basis, it’s a “dog-eat-dog” digital world. So, how does one separate itself from the pack? More importantly, how can you turn your emails into a particular brand of personalization that readers will actually care about? 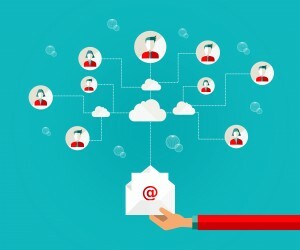 A key element of successful email marketing stems from consumer-to-client relations. However, forcing a business relationship through intimacy too soon will only have your potential client disregarding your email. Personalize your email to acknowledge your subscriber’s individuality. After all, they did go as far as to subscribe to your email list, now focus on retaining their interest. A working example would be an online music streaming service that sends out emails to their subscribers that suggest what they might be interested in listening to based on their “favorites” list. Your humble beginnings from how you started out as a small business or company should never be forgotten. Remember your first subscriber, and how it made you feel? Thank them, offer them discounts, or heck, even give them a free service or product to show how much their subscription means to you. While you don’t want to push the bar by offering too much away, the occasional free template or e-book will keep your subscribers tuning in. Draw in your customer base through a series of personable gestures and slowly build up a relationship where they learn to trust you. Bio: eTargetMedia has over 20 years of experience while providing cost effective results. Their unmatched commitment to client success makes them the perfect candidate for your online marketing campaign.